Located in the financial district of Vancouver city centre, Trump International Hotel & Tower Vancouver is located walking distance from shopping, fine dining, and entertainment. Great location. Very modern rooms. Very good breakfast spread. They also give you the option of ordering breakfast in the room which was is great - even though I didn't use it. Its in the heart of downtown and you can walk to most places. Featuring two on-site restaurants and a bar, this locally-owned boutique hotel offers a complimentary breakfast with items such as omelettes, bacon and sausage. The St Regis in Vancouver is a fantastic Boutique style hotel. It exceeded our expectations. Every member of staff, from front desk, to porters, wait staff & housekeeping, were friendly and helpful. All were very polite and eager to help. They made every guest feel special. Breakfast is included in their rate and they have it down to a fine art. Many (more 'expensive, self proclaimed upmarket') hotels could learn a lot from them!!! It was plentiful, great choices and fully served to the table by efficient, conscientious staff. Despite its name, it is not part of a chain of hotels but is an independent hotel over 100 years in Vancouver (but very modern internally!). Having stayed in quite a few chains over the years, I'm a convert to the service and quality of smaller, more intimate, non chains where you are truly a treasured guest. I hope to visit this beautiful city again and I wouldn't stay anywhere else but the St Regis. And, no, I don;t work here or know anyone who does, I'm just a very happy guest!! Situated within 200 metres of Waterfront Centre Mall Vancouver and Vancouver Lookout at Harbour Centre, EXchange Hotel Vancouver features rooms with air conditioning. Free WiFi is available. Modern and beautiful place. Complementary breakfast. Great location. 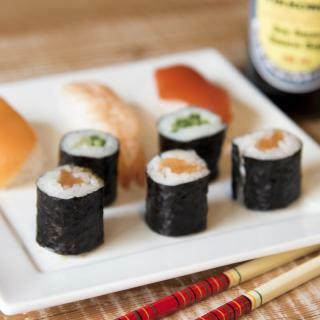 Located in Vancouver, JW Marriott Parq Vancouver offers dining at 8 diverse restaurants and lounges and on-site spa. Free WiFi is available. A spacious conference space is available. Loved the service, the room, the view and the lattes!!! An indoor swimming pool, hot tub and a fitness centre are featured at this Vancouver city centre hotel. A tablet computer and free WiFi are offered in each guest room. Canada Place is 1.5 km away. Thanks for taking good care of my parents! They said the breakfast was awesome! Featuring an outdoor heated pool, this hotel is connected to the Vancouver Convention Centre and Canada Place Cruise Ship Terminal. 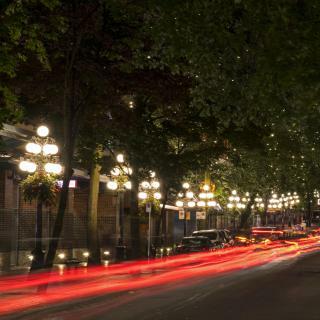 Vancouver’s Gastown is just 5 minutes’ walk away. beautiful rooms, amazing restaurant! An indoor pool and sun deck are featured at the Holiday Inn Vancouver-Centre Broadway, 7 minutes from Vancouver city centre and 12 km from the Vancouver International Airport. Free WiFi is offered. Good access to local restaurants and public transport. Excellent breakfast. Located in Vancouver city centre, this hotel offers an on-site restaurant and bar. A flat-screen cable TV is offered in each room. Vancouver City Centre Skytrain station is 5 minutes’ walk away. Comfy bed, great view. Love the location, close to everything. Helpful staff, lovely architecture. This Vancouver city centre hotel features an outdoor heated lap pool and hot tub. Located at the crossroads of Yaletown and Robson, it is 500 meters from Queen Elizabeth Theatre. The bed and pillows are very comfortable and supportive. This historic hotel is a 5 minute walk from Vancouver's Gastown district. A Healthy Start continental breakfast served each morning. The charming hotel offers period antiques and free WiFi. Great location and lovely staff! And great continental breakfast too! Featuring an on-site restaurants and 2 bars, the Best Western Plus Sands is located in the heart of Vancouver, only 4 minutes’ walk from English Bay beach. Free WiFi is available in all rooms. Super comfortable bed. No problems sleeping. Room quiet. Featuring 2 restaurants and 2 bars, this Vancouver hotel offers a 24 hour front desk and guest rooms with Free WiFi and North America-wide long distance calling. Very nice hotel at the center of Vancouver. Very stylish and comfortable! Free Wi-Fi is offered at this Aboriginal themed Vancouver hotel. Each guest room comes equipped with a fridge. Rogers Arena and BC Place are both within 10 minutes’ walking distance. Nice place located very well in the center of Vancouver. Very friendly staff. Featuring an outdoor lounge and on-site coffee shop, this hotel in downtown Vancouver is 3 blocks from the Robson Street shopping area. The hotel offers free WiFi and free Brodie cruiser bike rentals.... The bed was super comfy, plenty of pillows and soft sheets. Featuring full-service spa, sauna and fitness centre, this non-smoking hotel offers rooms with private balconies. Bacchus, a luxurious lounge and restaurant, is located on site. The staff is incredible- they made our stay perfect. Featuring a full service spa, Shangri-La Hotel Vancouver offers easy access to luxury shopping, art installations and trendy restaurants and bars. Guests can enjoy views of Vancouver city centre. Excellent service, the staff were fantastic. 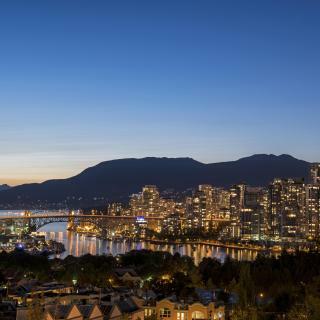 Featuring a restaurant and fitness centre, this Vancouver luxury hotel is situated in the Yaletown neighborhood, 38 m from Yaletown-Roundhouse Canada Line Station. Everything. Cleanliness, large comfortable room with great bathroom. Attention to detail. Featuring a gourmet restaurant serving breakfast, lunch and dinner, this Vancouver all-suite hotel offers high-speed WiFi and floor-to-ceiling windows. The best location, very very close to the habour the train station the gas town and the city center. Featuring an indoor swimming pool and hot tub, this Vancouver hotel is within 10 minutes’ walk to Sunset Beach and the Vancouver Contemporary Art Gallery. great breakfast selection and plentiful. lovely room with amazing view and balcony. The DOUGLAS, Autograph Collection is located in the downtown district in Vancouver, 300 metres from BC Place Stadium. Dining is available at one of the 8 diverse restaurants and lounges. Incredible place, so trendy, the lobby has the best decor, nice areas, excellent room service. This Vancouver hotel offers an on-site restaurant and bar. A fully stocked bar, Keurig coffee machine, and refrigerator are included in each room. Vancouver Convention Centre is 5 minutes’ walk away. The staff were so friendly and attentive. The service felt very personalised! What hotels in Vancouver have nice views? 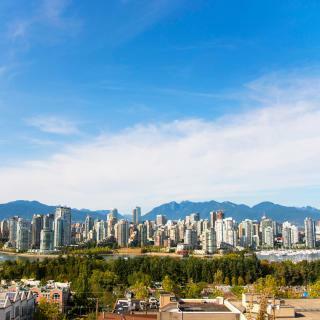 Embarc Vancouver by Diamond Resorts, Pan Pacific Vancouver Hotel and Fairmont Waterfront have received great reviews from travellers in Vancouver regarding the views from their hotel rooms. What hotels in Vancouver offer an especially good breakfast? For hotels in Vancouver that serve up a highly-rated breakfast, try L'Hermitage Hotel, Fairmont Waterfront and JW Marriott Parq Vancouver. The average price per night for a 3-star hotel in Vancouver this weekend is £277 or, for a 4-star hotel, £358. Looking for something even fancier? 5-star hotels in Vancouver for this weekend cost on average around £473 per night (based on Booking.com prices). On average, it costs £112 per night to book a 3-star hotel in Vancouver for tonight. You'll pay on average around £163 if you choose to stay in a 4-star hotel tonight, while a 5-star hotel in Vancouver will cost around £208 (based on Booking.com prices). What are the best hotels in Vancouver near Vancouver International Airport? 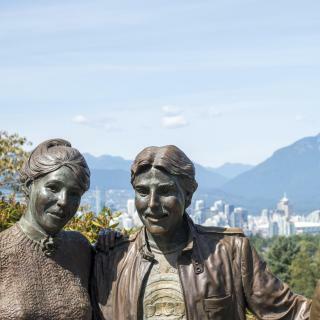 Travellers who stayed in Vancouver near Vancouver International Airport (YVR) have said good things about Fairmont Vancouver Airport In-Terminal Hotel, Pacific Gateway Hotel at Vancouver Airport and The Westin Wall Centre Vancouver Airport. Many families visiting Vancouver loved staying at the DOUGLAS, Autograph Collection, Loden Vancouver and L'Hermitage Hotel. On average, 3-star hotels in Vancouver cost £80 per night, and 4-star hotels in Vancouver are £135 per night. If you're looking for something really special, a 5-star hotel in Vancouver can on average be found for £184 per night (based on Booking.com prices). What is the best neighbourhood to stay in Vancouver? Yaletown, West End and Davie Village are popular with other travellers visiting Vancouver. What hotels in Vancouver are good for couples? These hotels in Vancouver are highly rated by couples: Rosewood Hotel Georgia, L'Hermitage Hotel and Loden Vancouver. What are the best hotels to stay in Vancouver? Trump International Hotel & Tower Vancouver, The St. Regis Hotel and Pan Pacific Vancouver Hotel are some of the popular hotels in Vancouver. 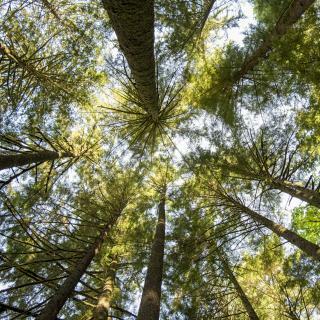 An outdoorsy city ranking among the world’s most livable, Vancouver is sheltered by Vancouver Island and the Pacific Range mountains. The most famous peak, Grouse Mountain is a favourite spot for hiking and skiing. Take the cable car up for magnificent views of the city's skyscrapers and huge Stanley Park. Skirting this park is the Seawall, a popular biking trail with paths passing the Vancouver Aquarium, picnic spots and a pitch ‘n’ putt course. There are also a couple of beaches, but the best ones are along English Bay in Kitsilano. Granville Island is just across False Creek from Yaletown and houses some quirky shops and markets. Ferries depart from here to near BC Place Stadium and home ground of the city’s football and American football teams. The legendary Vancouver Canucks ice hockey team play next door at Rogers Arena. We could go on and on about British Columbia’s largest city and never do it justice, so why not try it for yourself? Booking.com has a fabulous range of accommodation, from hotels near Vancouver Airport in Richmond to downtown B&Bs and motels near each of its ferry ports. Beautiful in a modern sense - but the worst airport I was even in disorganised & unhelpful. City has some nice areas & gréât to cycle around but the shoreline walk or cycle while beautiful had filthy sea water. Could not stand the amount of dope being smoked everywhere- not cool! If you’ve never been, so yourself a favour and go visit. If you’ve never been, so yourself a favour and go visit. We went in spring and although chilly, we had a blast. Vancouver is a beautiful city, surrounded by water and snow topped mountains. There are plenty of beautiful spots to visit. My favourites were Stanley Park and Queen Elizabeth Gardens. The gardens are a little out of town but worth the visit. The city itself is clean, bustling and full of cafes and restaurants. Love shopping? There’s plenty for you here too. Robson street has all the luxury brand stores. For dinner, try Market, on the third floor of the Shangri-La hotel. It’s pricy but worth every cent. Not that eaay to drive in Vanc. 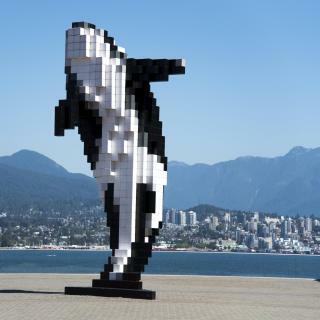 I love Vancouver, wish I could afford to move there. I love Vancouver, wish I could afford to move there. Gas prices out of control! Great food. Beautiful beaches and the Magnolias and Cherry trees were in bloom...truly beautiful. Went to Whistler up the Gondolas and to Stephenson the fishing village. Otherwise just walked around Kitsalano to see the sights. Love shopping 4th! My favorite activity was renting a bicycle to ride around Stanley Park and the seawall. It was amazing. I visited Stanley Park, Queen Elizabeth Park and Van Dusen Botanical Garden and they were all beautiful even though it was early spring. Some lovely places to visit, especially enjoyed the service and food. Steam works did great service and food considering it was busy. Recommend. Get out on the float planes Harbour Air run a sleek operation and a great experience. Loved all the tulips and cherry blossoms everywhere. We walked everywhere easy to get around. Transit to and from airport easy to use. Spent half day at Granville island. Enjoyed that . Helpful staff at the visitors centre downtown by Canada place. Great location, lovely views. comfortable bed.